Katherine Collins’ hire is part of Boston-based Putnam’s efforts to shore up its active management of funds at a time when investors are flocking to so-called passive investing, like index funds. Putnam Investments has hired a former Fidelity Investments executive to lead and expand its investment team focused on environmental, social, and governance issues, in the firm’s latest move to beef up specialty areas for active managers. 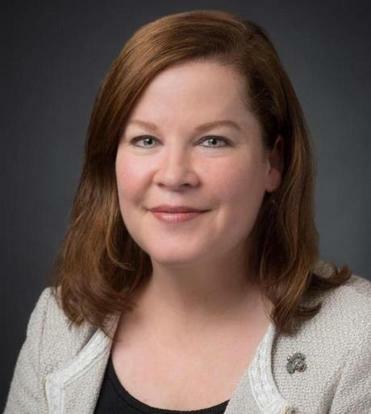 Katherine Collins, 48, was named head of sustainable investing, Boston-based Putnam said Wednesday. She previously ran Honeybee Capital, a company that provided research on sustainable investing. Earlier in her career, from 1990 to 2008, Collins worked for Boston-based Fidelity, at one point as a director of equity research for funds that invest in mid-sized stocks. At Fidelity, Collins overlapped with Putnam chief executive Robert Reynolds, who was then a top Fidelity executive. Putnam, with $160 billion under management in mutual funds and institutional accounts, is hardly the first firm to get on the so-called ESG investing bandwagon. But the company’s executives say there’s a growing demand among customers large and small for investing in the environmental, social, and governance arenas. It’s also the latest move by Putnam to stake out areas where its style of active management can attract assets, at a time when investors have been flocking to index funds, which don’t rely on human research and stock-picking. Putnam last month said it would hire David Diamond, a small-capitalization stock veteran, and beef up that team. The firm has been in the midst of an overhaul since November, when it said it would cut 115 jobs, or 8 percent of its workforce, to reduce costs. It also promoted three new investment chiefs. In addition to Collins, Putnam said it is hiring Stephanie Henderson, formerly an analyst with Fidelity, for the sustainable team. Alexander Rickson, a quantitative analyst already with Putnam, also will join the group. Collins, who earned a master’s degree in theological studies from Harvard Divinity School after leaving Fidelity, said she’s had a longstanding interest in sustainable investing. She notes that companies are moving forward with decisions relative to governance and the environment that have an effect on investors, despite moves in Washington to roll back some climate change policies.